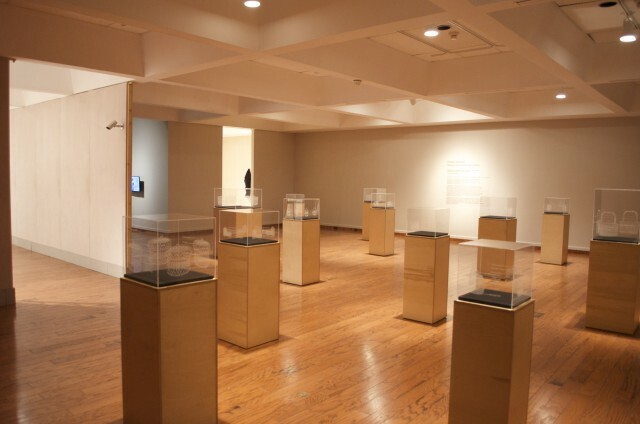 The performance Processing (view here) is also part of this nationally touring exhibit hosted by St. Mary’s University Art Gallery, Halifax, Nova Scotia. 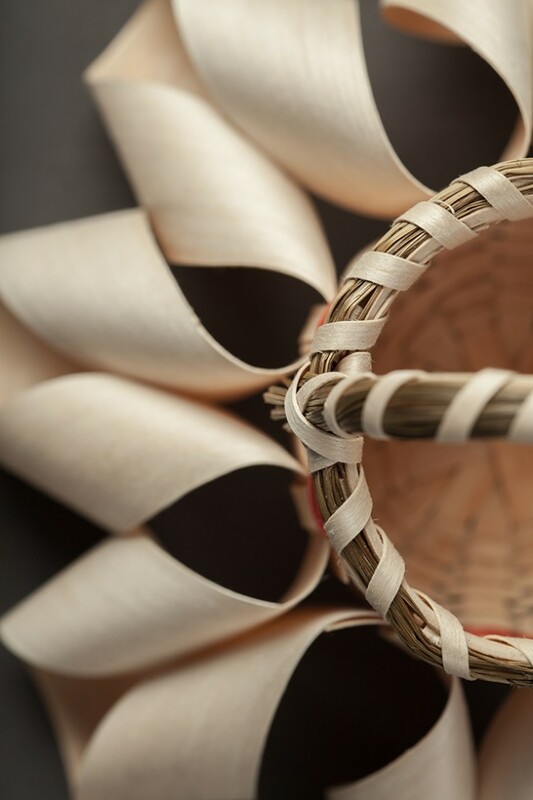 Ursula Johnson’s interdisciplinary practice ranges from fine craft and traditional Aboriginal art forms through performance and installation. 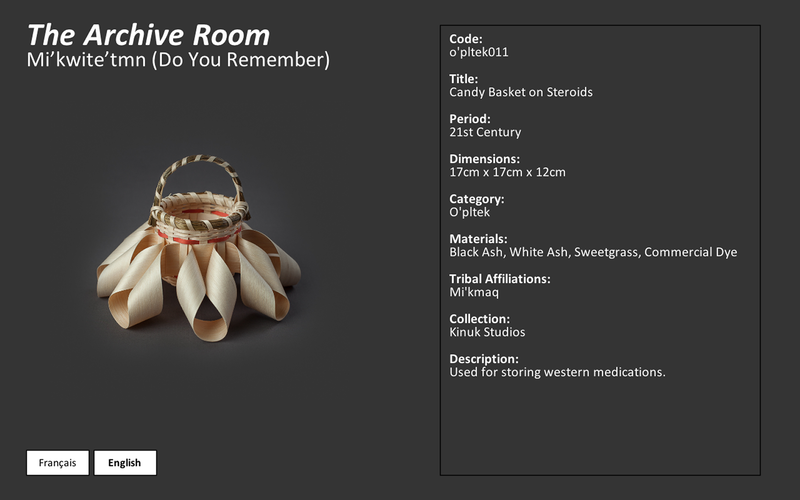 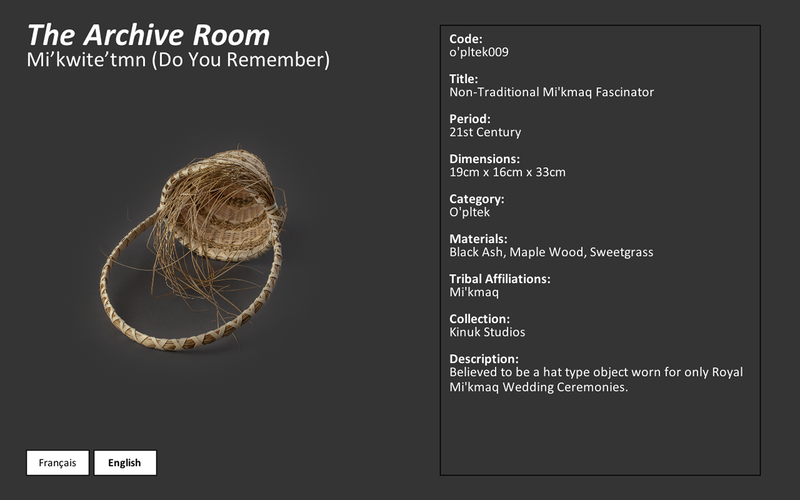 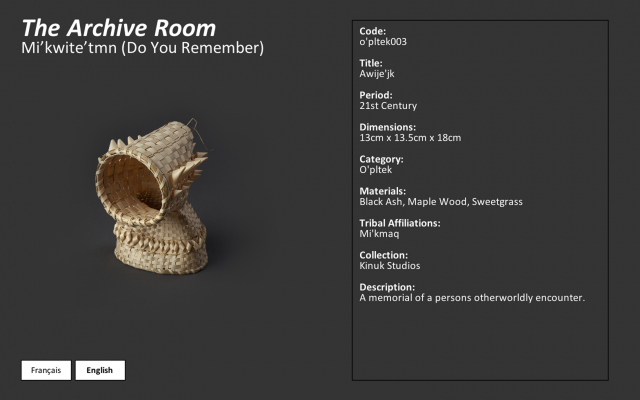 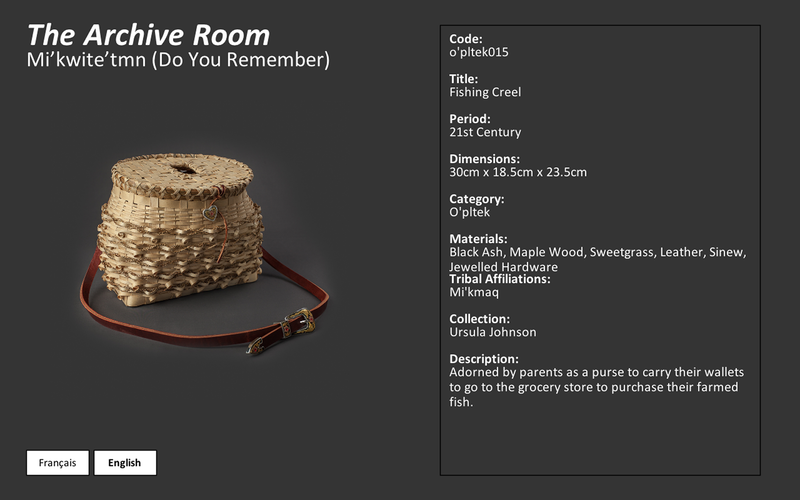 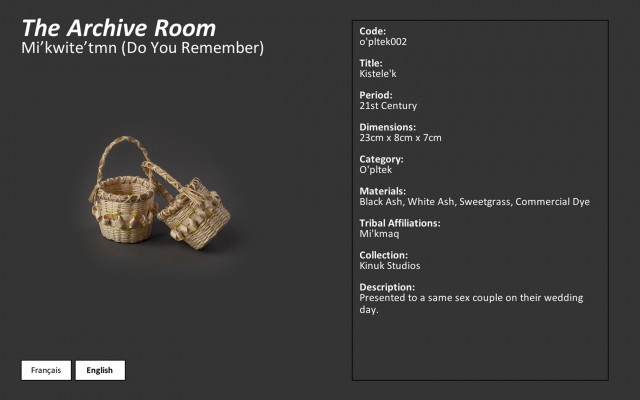 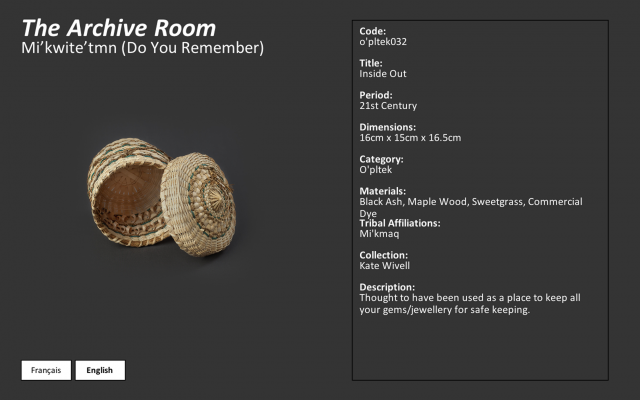 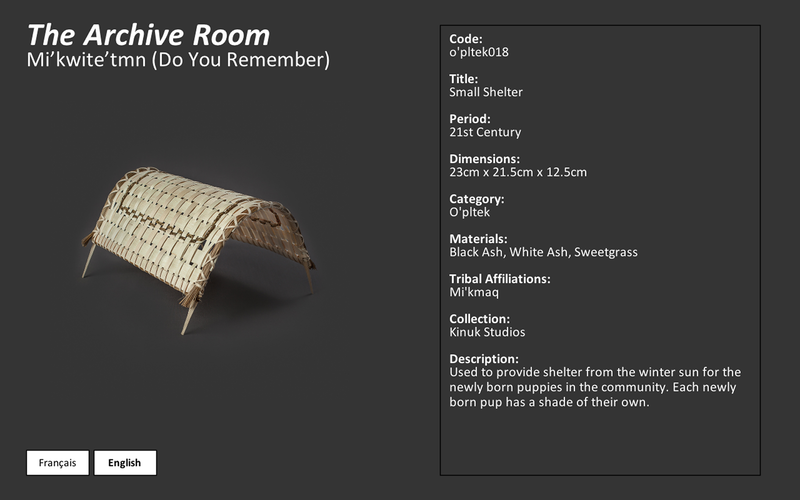 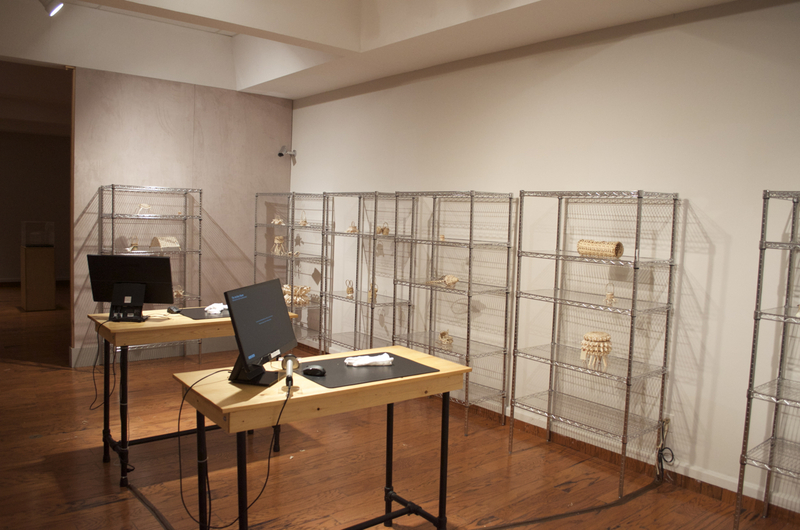 Mi’kwite’tmn (Do You Remember) examines ideas of ancestry, identity and cultural practice. 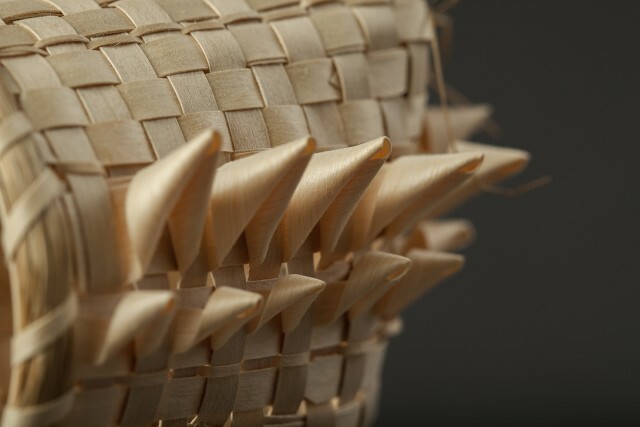 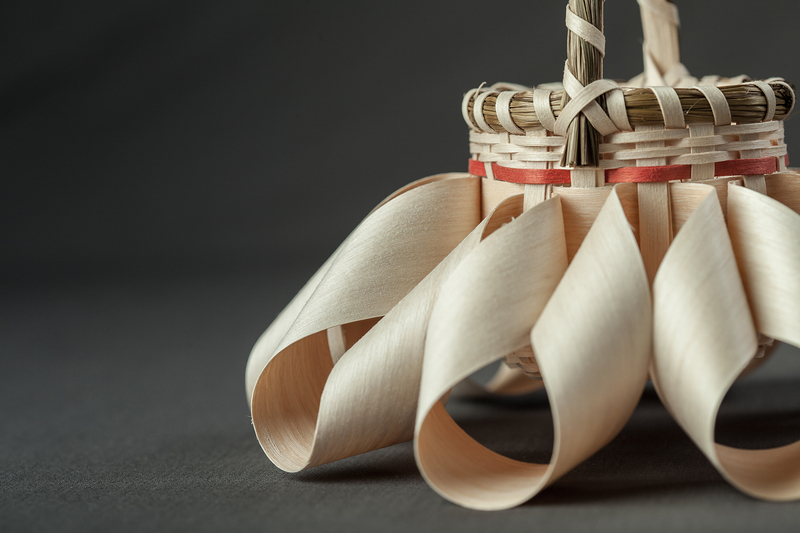 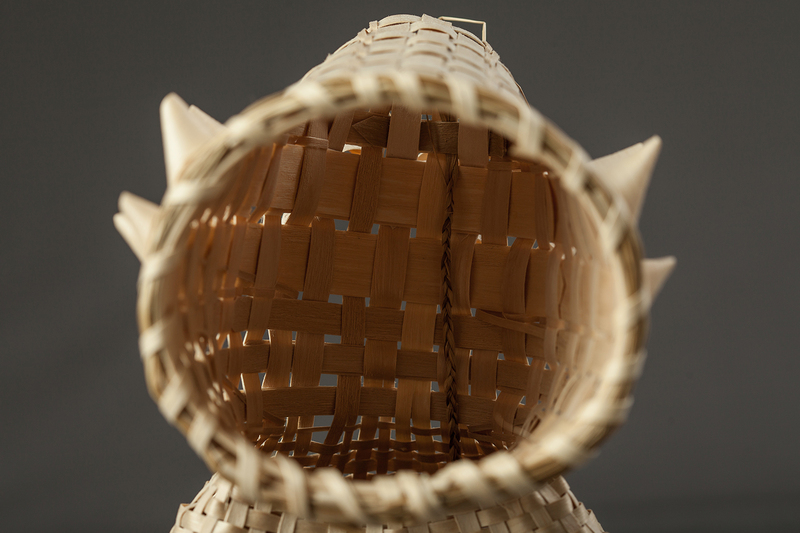 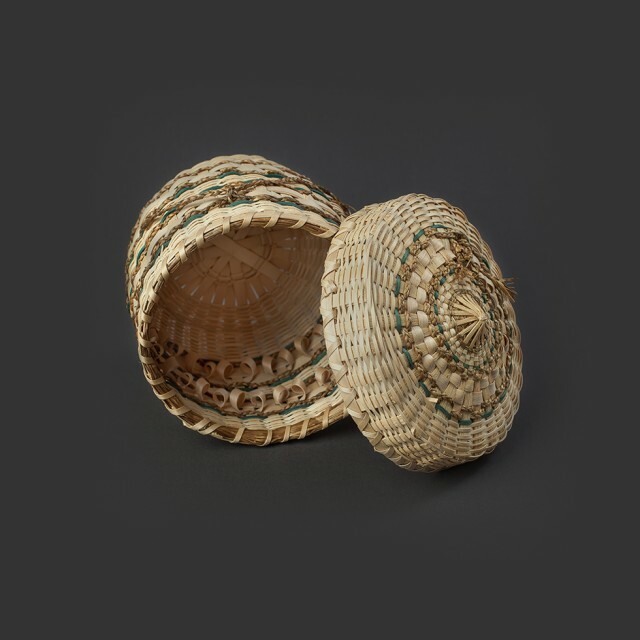 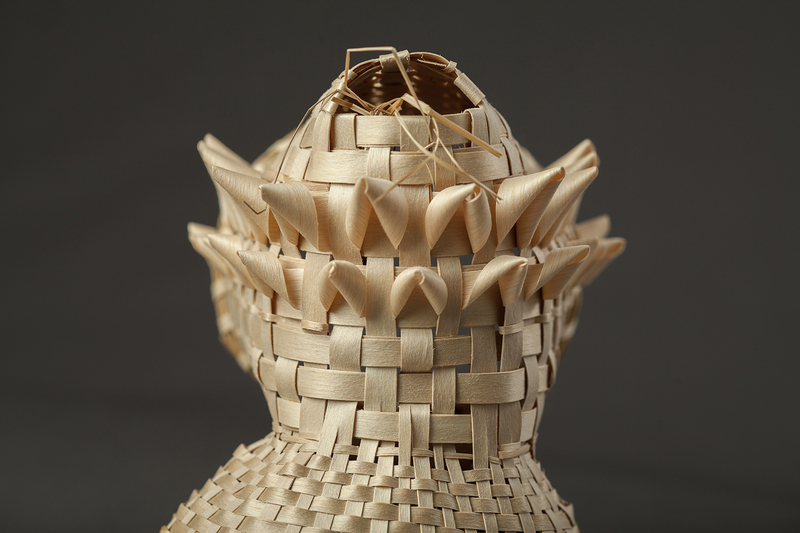 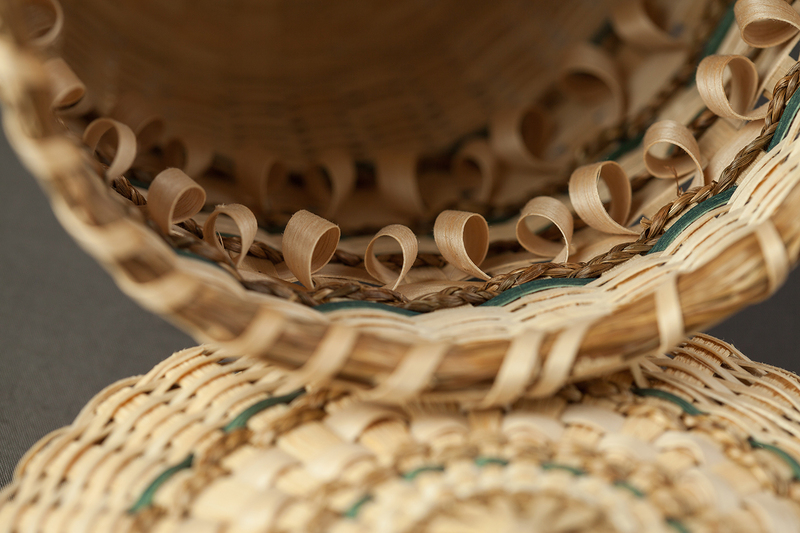 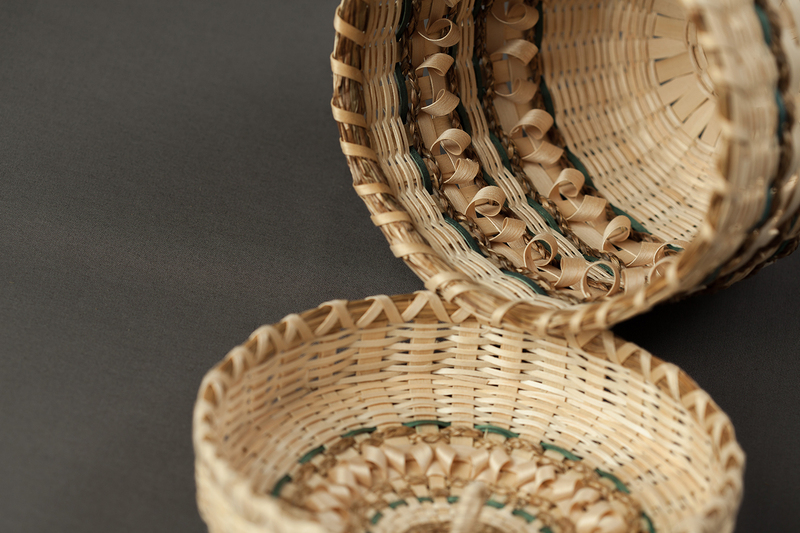 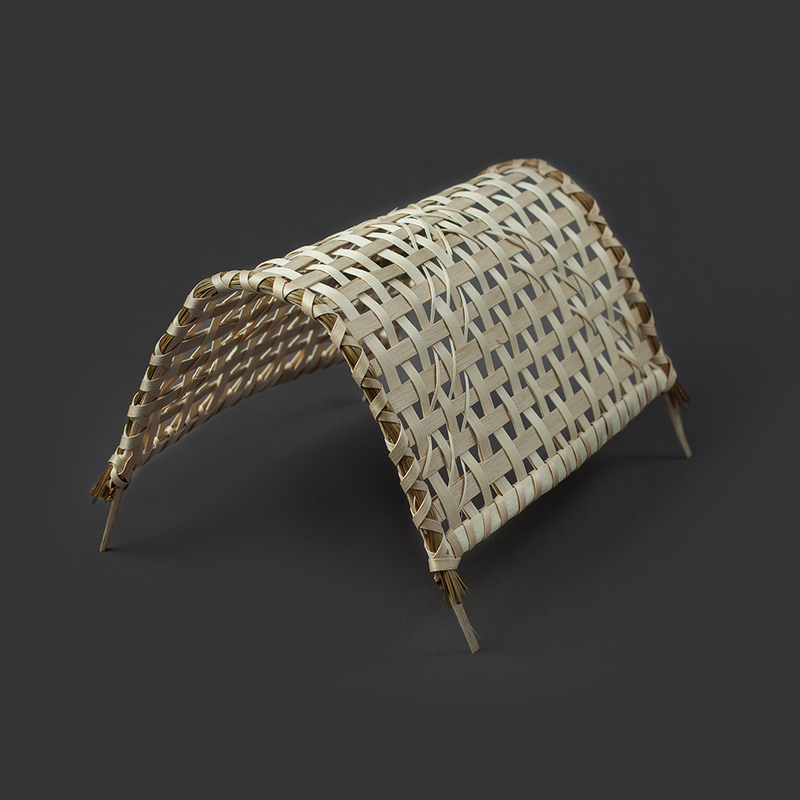 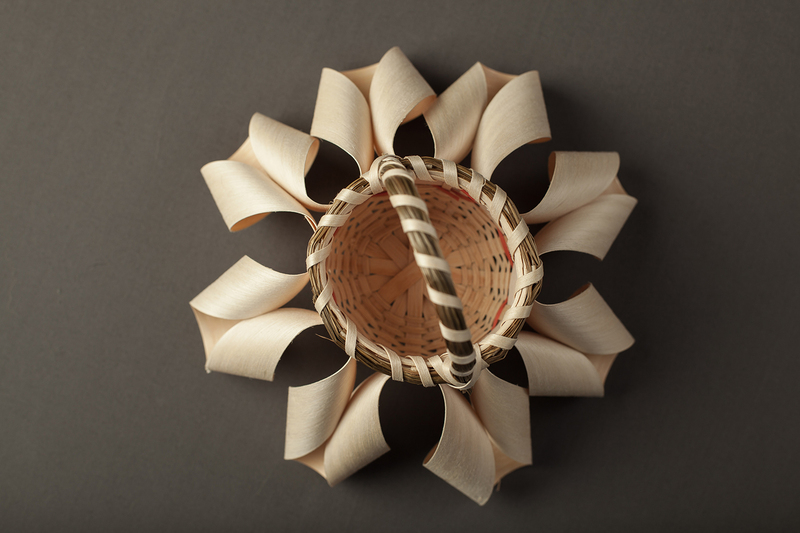 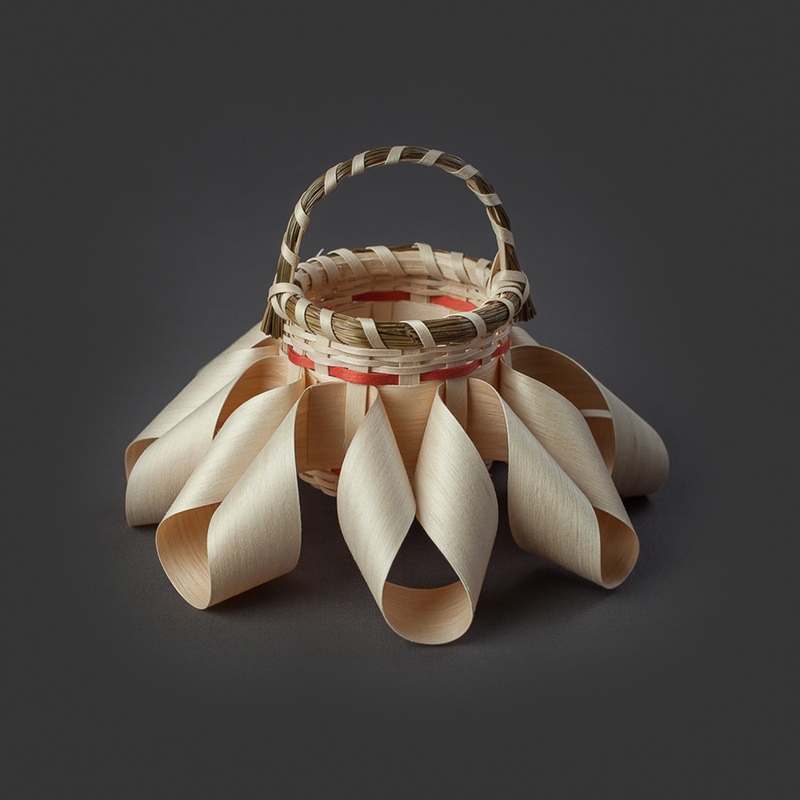 Johnson deconstructs and manipulates the function and image of Mi’kmaw basketry, using traditional techniques to build non-functional forms. 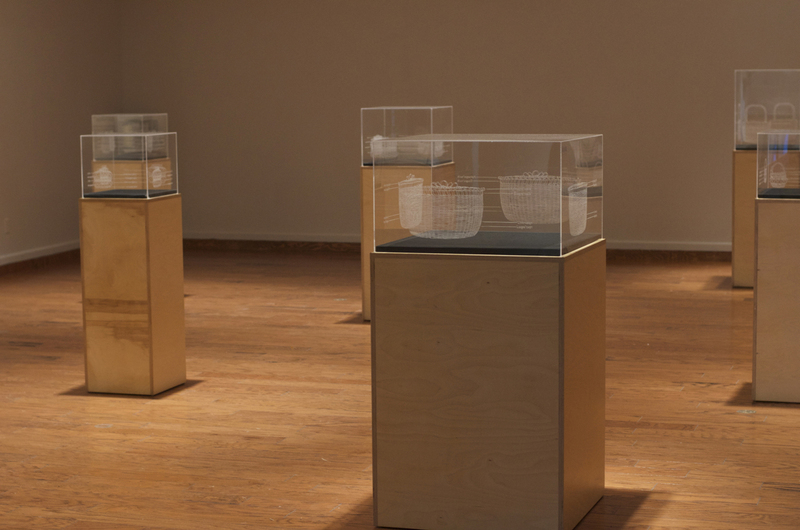 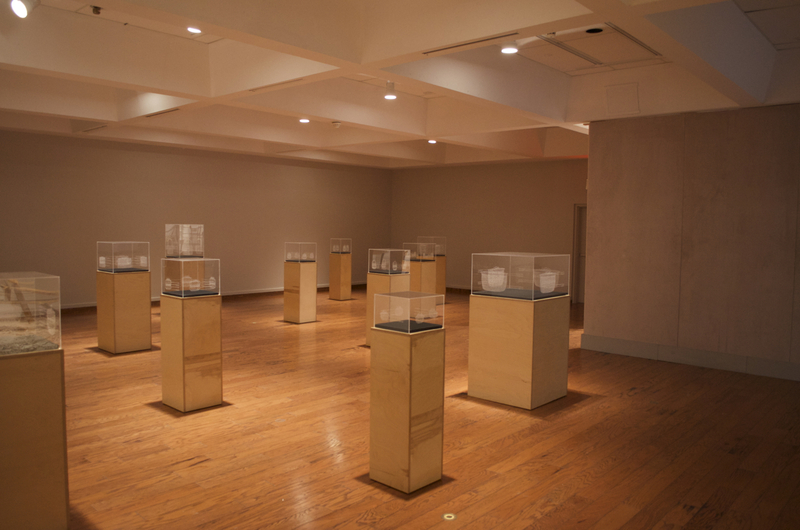 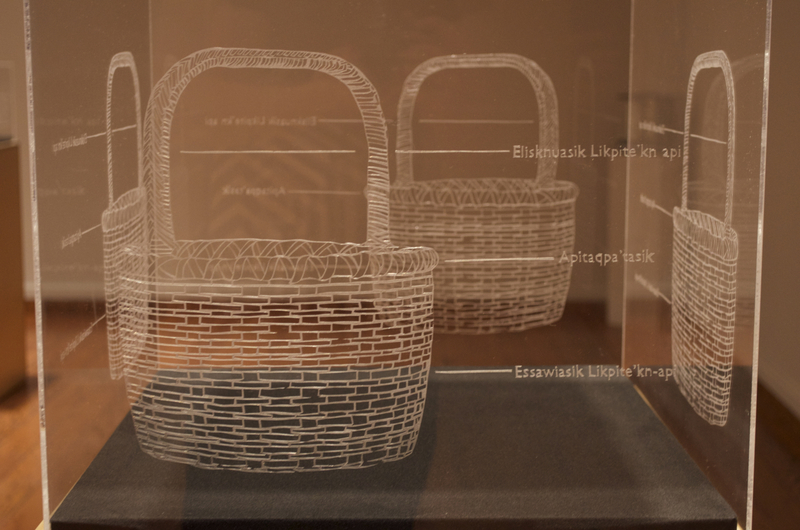 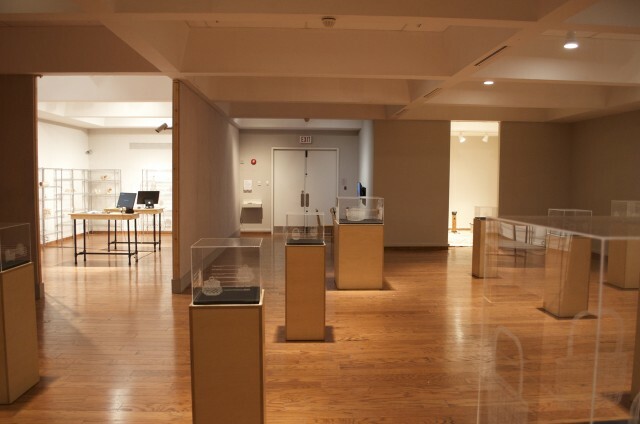 In Mi’kwite’tmn, Johnson creates three distinct spaces, A “Museological Grand Hall” displays empty plexi vitrines bearing hand etched sand-blasted diagrams of traditional Mi’kmaw baskets made by the artist’s great-grandmother, Caroline Gould. 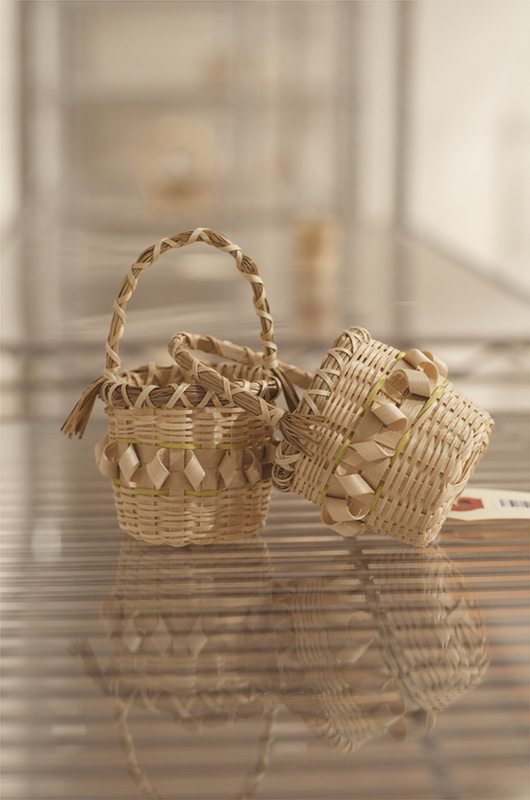 An “Archive Room” is crowded with mutant basket-type objects from the series O’pltek (It is Not Right). Visitors may put on white gloves and scan the tags attached to the baskets to see more information about them. 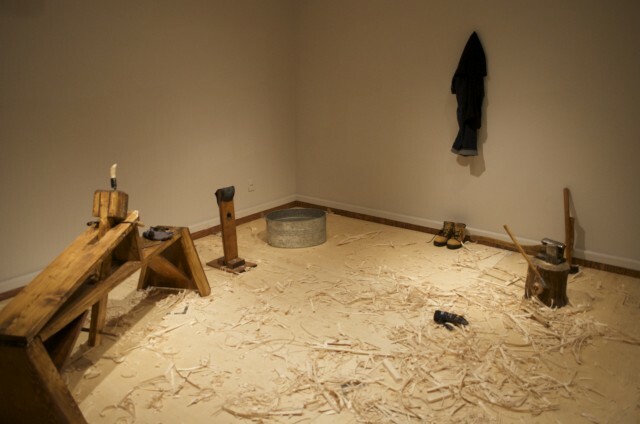 In the “Performative Space”, the artist presents an endurance performance of splitting, pounding and shaving an ash-wood log to produce a mountain of splints, as traditionally employed in Mi’kmaw basket-making. 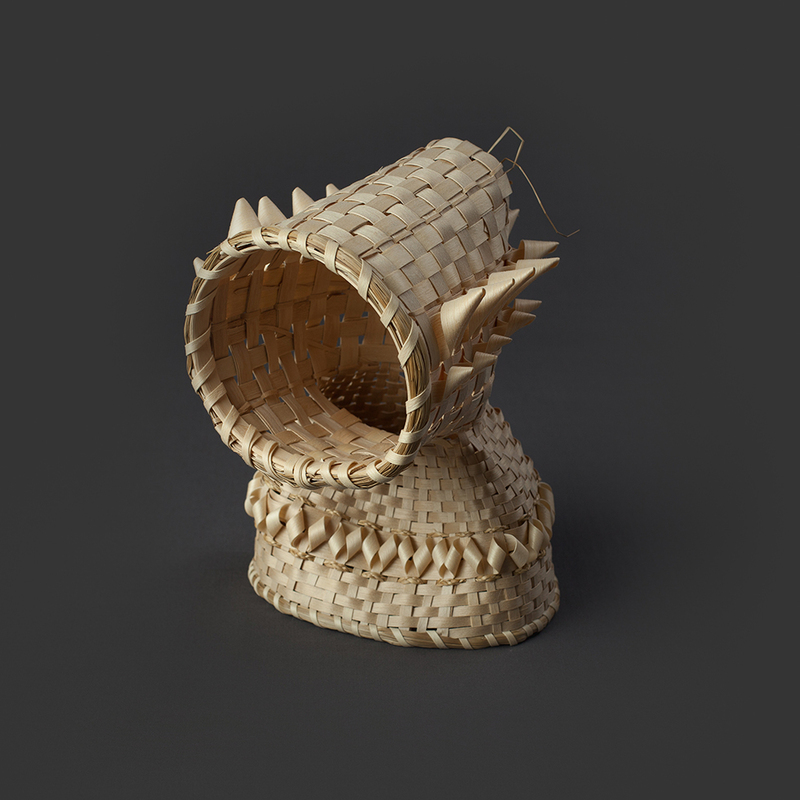 She further shaves the splints to make them unusable, to emphasise the current generation’s disconnection from material culture.